Hand painted cast iron doorstop. 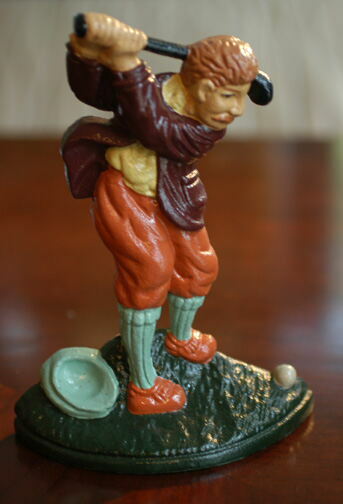 Old time golfer in full back swing. Could also use 2 as bookends.